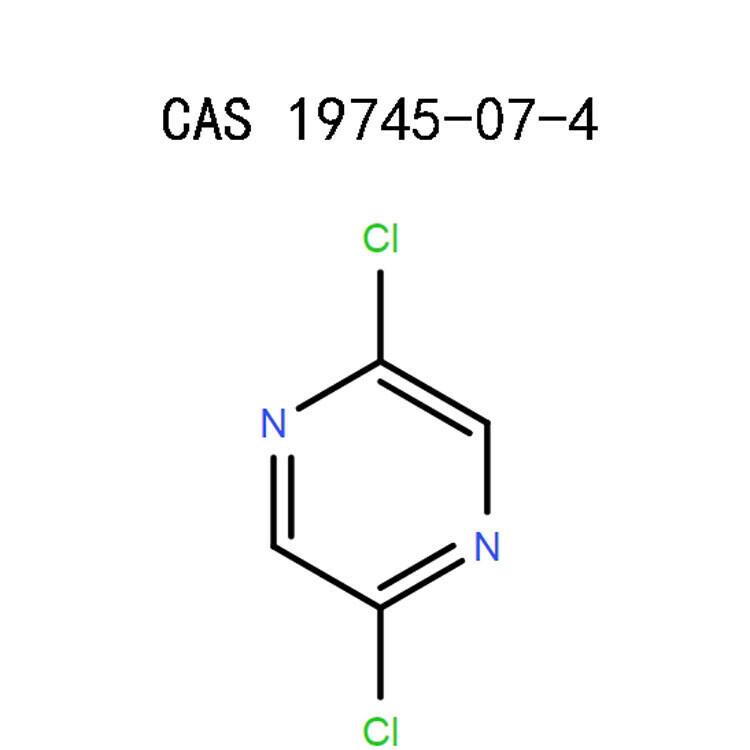 2,5-Dichloropyrazine (19745-07-4). It belongs to intermediates category. Contact us for more information. When it comes to high purity and quality chemical products, APICMO is the leading pharmaceutical company. 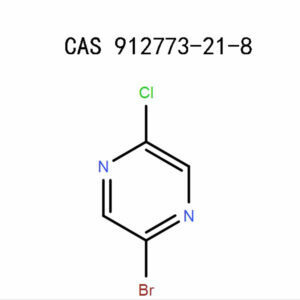 We produce 2,5-Dichloropyrazine (19745-07-4) among other chemical products. All our products conform to the Common Good Manufacturing Practice (CGMP) among other regulations. Our dedication and passion isto serve you and deliver the best quality products. It is a colourless liquid. 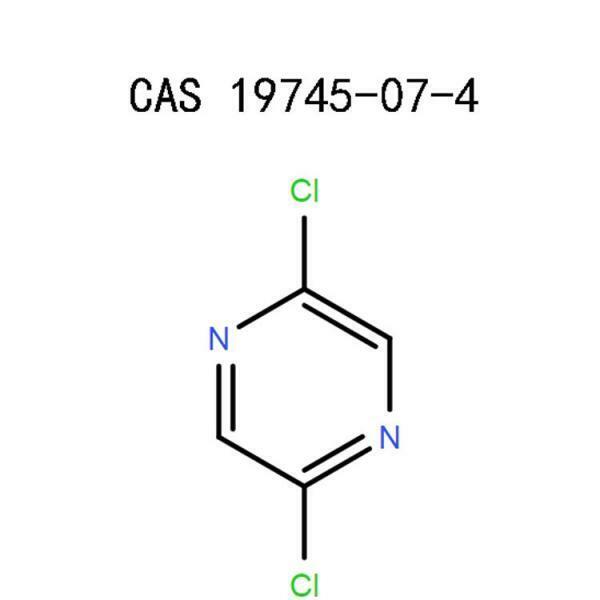 2,5-Dichloropyrazine(19745-07-4) is stable under normal conditions. When subjected to a high temperature it decomposes to Nitrogen oxides, Hydrogen chloride, Carbon dioxide,and Carbon monoxide. It is harmful if swallowed. It would lead to stomach pains, vomiting and lack of appetite. It causes skin irritation once it gets into contact with it. It could cause skin reddening, rashes,and burning/itching. It may cause respiratory irritation once inhaled. It may lead to coughs, difficulty in breathing and production of mucus. It may cause severe eye irritation once it splashes into your eyes. Its symptoms could be; eye reddening, watering, burning and blurred vision. Use particle respirator type P95 (US) or type P1 (EU EN 143) for nuisance exposures. If you need high protection, use type ABEK-P2 (EU EN 143) or OV/AG/P99 (US) respirator cartridges.If the respirator is the onlyequipment you are using for protection, use a full-face supplied air respirator. Use tested and approved respirators and components under appropriate government standards such as CEN (EU) and NIOSH (US). Wear a complete outfit to protect yourself against this chemical product. Consider the amount of substance and its concentration in your workplace while selecting the appropriate protective gear. Wear gloves while handling this chemical product. Check the glovesbeforehand to ensure that there are no holes or tears that could lead to the permeability of the substance. Remove the glove using the proper glove removal technique without touching the outer surface. Dispose of contaminated gloves properly, wash your hands and dry them. Wear safety glasses that have side-shields that conform to EN 166. Use tested and approved eye protection equipment under appropriate government standards such as EN 166 (EU) or NIOSH (US). Provide adequate ventilation in places where there is the formation of dust. Install fume hoods and local exhaust ventilation. Install eyewash stations and safety showers to help in flushing of the chemical substance in case of body contact and in putting off fire from clothes in case a fire occurs. Get the victim out of the area of contamination to a place that has fresh air. Let them lie in a position that can allow them to breathe comfortably. If they are not breathing, trained personnel should administer oxygen or give them artificial respiration. Contact a doctor or a poison center immediately. Induce vomiting only if advised by medical personnel to do so. You should not give an unconscious victim anything by mouth. Flush your eyes with plenty of water for a minimum of 20 minutes. Remove contact lenses if wearing any and clean under your eyelids. If burning or pain sensation persists, see a physician. Immediately remove the contaminated clothes and shoes. Rinse the affected area thoroughly with a copious amount of water. Use lukewarm water and non-abrasive soap. In case the burning/itching persists, seek immediate medical attention. Make sure that you use while outdoors or in an area where there is sufficientaeration to reduce the accumulation of toxic fumes.Wear appropriate protective gear to protect yourself from contact with this chemical product. Follow all the safety regulations put in place regarding the use of chemicals. Make sure that you have spillage equipment, safety showers,and eyewash equipment near you in case of an accident. Place the chemical product to its storage area. Remove the protective gear, clean it and allow it to ventilate before wearing it again. Dispose of all waste material and containers properly. Clean the work surface thoroughly to ensure that no chemical spills are left out. Clean your handsthoroughly and dry them using a clean towel to prevent recontamination. Keep the product away from access to unauthorized personnel. Do not place the chemical product on bench tops to prevent knockoffs. Keep it tightly capped, well-labeledand away from ignition sources and incompatiblesubstances. Avoid skin and eye contact. Avoid the formation of aerosols and dust during your operations. Note that further processing of solid materials may result in the creation of combustible dust. The potential of formation of dust should be taken into consideration before additional processing occurs. Provide suitable exhaust ventilation in areas where there is the formation of dust. Keep the container tightly capped to prevent spillage. Store in a dry and well-ventilated place. Store this chemical product far from any sources of ignition and incompatible substances. Store away from sunlight. In case a spill occurs, prevent a further leak or spillage if it is safe to do so. Do not allow the substance to get into drains or watercourses because it is a contaminant. Make the neighbors aware of the presence of fumes. Mix the substance with sand or vermiculite. Sweep it up and shovel without creating dust. Transfer it to a suitable, closable container ready for disposal. 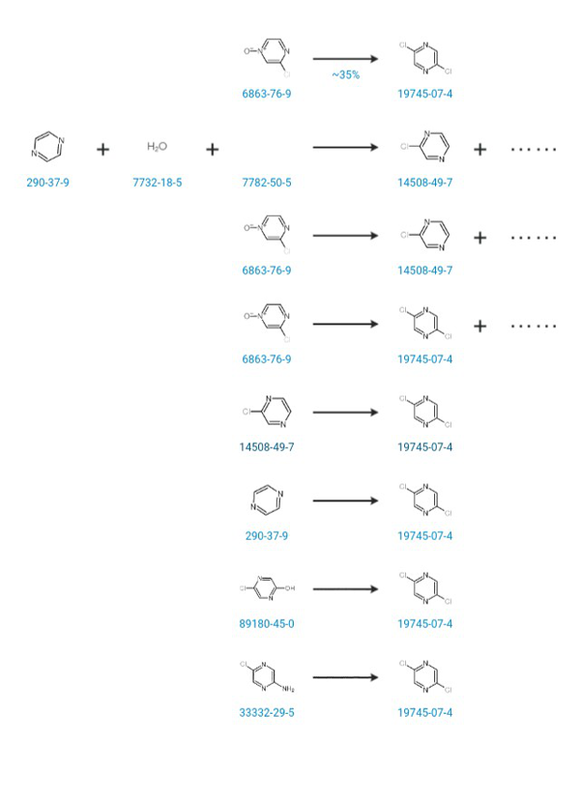 2,5-Dichloropyrazine(19745-07-4) reacts with strong oxidizing agents and strong acids. It is flammable. Dispose of all contaminated packaging as an unused product. You could also contact a licensed professional waste disposal service to dispose of this material. Follow all state/local/federal regulations regarding chemical waste disposal. 2,5-Dichloropyrazine(19745-07-4) is safe to transport by water, road,and air. In need of 2,5-Dichloropyrazine(19745-07-4) in large or small quantities? Contact us today for any inquiries that you may have.